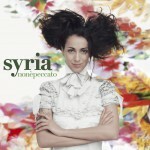 Cecilia Cipressi, the real name of Syria, was born in Rome in 1977. Her artistic debut was at the San Remo festival in 1995, and since then, she's been participating in that festival with different results. 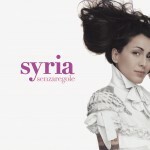 The same 1995 won in the cathegory of "Sanremo Giovani" with Loredana Berte's song Sei Bellissima; in 1996 won in the cathegory of "Giovani", this time with the track Non ci sto and she recorded her first album.